Every so often the stars collide and fireworks ensue. Today is one of those days. 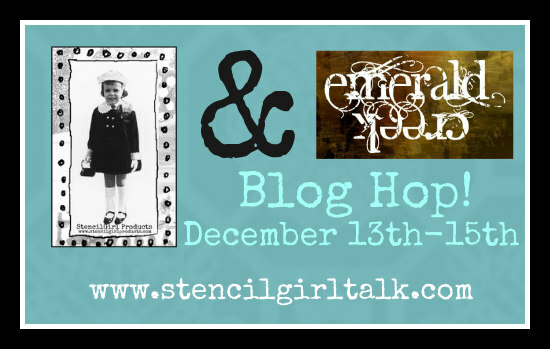 Two of my absolute favorite companies - StencilGirl Products and Emerald Creek Craft Supplies are combining forces to bring you a stellar blog hop and giveaway. Twelve artists are participating and the event starts today (12/13) and runs through 12/15. Be sure to scroll down to the bottom of this post to see how you can enter the two giveaways and to find the links to all the participating artists. Two of my favorite products to use are stencils and embossing powder. And I absolutely love using them together. My method...easy. Simply position the stencil on your surface, press a craft sponge into the surface of an embossing pad, and pounce the sponge through the opening in your stencil. Remove the stencil, tap off any excess powder and heat with a heat gun. Final step...watch the magic happen. 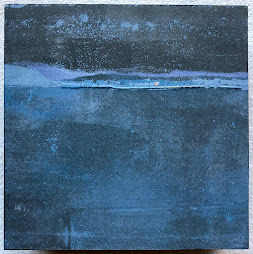 For this piece, I started with an 8x8 inch cradled wood panel and added layer after layer after layer of gesso, paint, collage and ink. The main focal feature of this piece is a series of words. The piece was finished off using collage material, hand made marks, and some of my stamp sets from Impression Obsession (RPMs, Planetarium, Pathways). If you are completely new to using embossing powders, check out my video tutorial from an episode of Make it Artsy. You may discover a new technique even if you are an embossing pro. 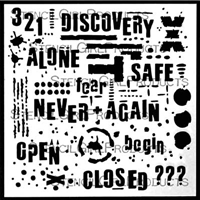 I will be giving Discovery, the artwork in this post, to one lucky person. Simply leave a comment on this post by Tuesday, 12/19 at 11:59PM Central Time to be eligible. Make sure I have a way to reach you if the random number table picks your name. And yes...of course Internationals are eligible too. Oooo I love this! The dimension you create is amazing. Its almost as though I could reach through the computer and feel it. Thank you so much for joining us and for the amazing prize donation! Well done! Love your Make It Artsy segment! I had seen this video before and it never ceases to amaze me what can be done with embossing powder. thanks so much for sharing these techniques. Gorgeous! Your technique of adding embossing powders with stencils is fabulous! I think I have to get a heat tool and learn to emboss! What an amazing piece rich in layers of colors and textures! I could look at this for hours, Seth! Incredibly grateful you are hopping with us! Thank you so much for your generous giveaway, too! What a great project. Thanks for a show and tell! Thank you! I need to get my embossing powders out! I like the look of this embossing powder. I like when it is chunkier than the norm! I love the effect you got from the embossing powder. This is wonderful!! Love all the details, & the textures & metallic look. Would love to see this in person!! You know -- I *never* thought of using an embossing pad/embossing powder with stencils! It was always paint, or ink. And I really thought your project used your die cuts. 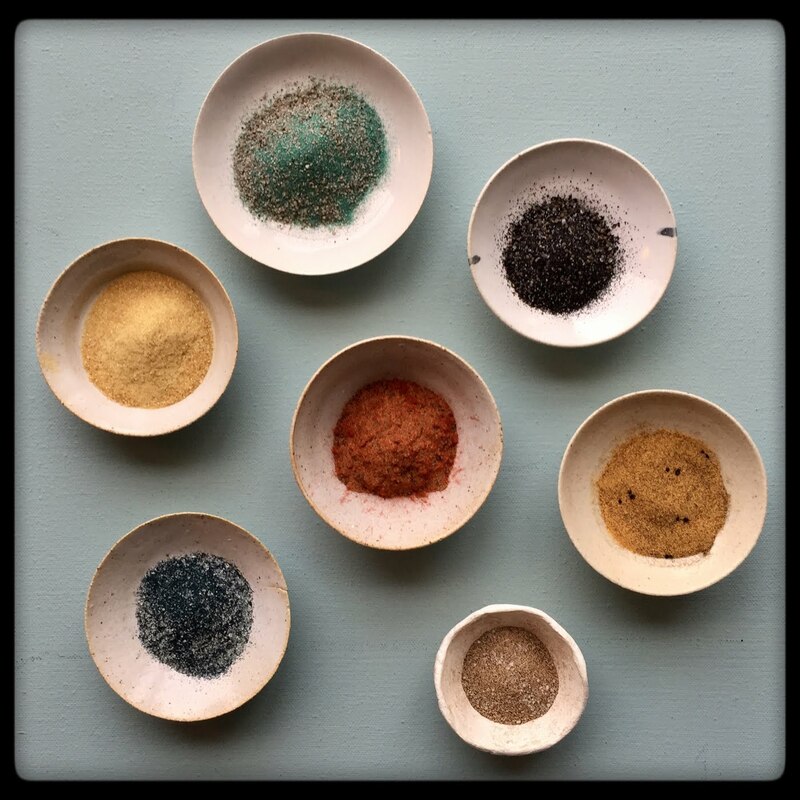 I do like the look of those embossing powders, though! I will definitely have to investigate. 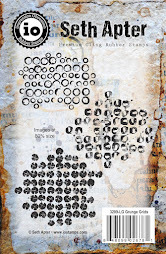 This is absolutely brilliant, never thought of embossing powders and stencils combo. Love the textures. Must try. What a brilliant kick off to the Hop. Amazing piece Seth - I love it! You got such fabulous texture with all of your layers combined with the EP - too bad I'm not eligible to win! LOL. What a fabulous piece of artwork! Love everything about this, Seth! Your video is great, too, thanks for sharing it again. Great piece. Love the technique using embossing with stencils. Great texture. That dripping technique with the gel medium rocks! thanks for sharing, Seth! Thanks for the tutorial on different embossing techniques! I've never embossed before and am now eager to try it. Your stencils and artwork are awesome! Love your discovery panel! Embossing powders add such a nice effect to projects. I love the two colors you have used. 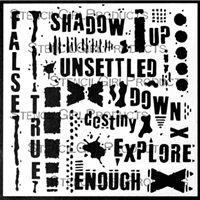 They look fabulous on your stenciled words! Thanks for sharing these fun techniques! I never really though about embossing through a stencil. I'm ready to try it! I had never been interested in embossing until now! How fabulous - just in time for Christmas! I love the techniques you used. Very wonderful details! I love to use embossing powder on my greeting cards. and I'll be doing it again. I love your page. I love this piece! All the yummy textures and rich colors used give it a great steampunk, grunge feel! Thank you for sharing it and for the chance to win! I love this piece. Only recently became familiar with your work, i’ a traditional watercolorist turned mixed media let’s try everything artist. Haven't embossed in a long time but think it's time to revisit. I hope the random number gods pick me! Love the piece Seth! Thanks for the tip about using the Gel medium as a base for the EP. Just one question, Seth - do you have to be careful of the gel medium bubbling when you heat the EP? janisgraham (at) yahoo (dot com). Gorgeous Seth! Always love your layers and use of color! Stunning! Thank you so much for sharing your creativity. I love the rustic look of this piece. What a treasure for the lucky winner (fingers crossed). 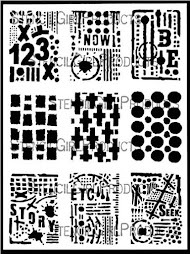 I have several of your stencils and love them but need to check out your stamps! Loved chatting with you at the One of a Kind Show in Chicago! Gorgeous I love your work and your new stamps. Hi Seth! I always love your projects! OK, I’m ready to get out my embossing powder. Bravo! You have totally inspired me to reunite with all my embossing powders. I never considered using them with my stencils. Oh my word! I would give my right arm to win this ... but not until I had tried this way of embossing of course! This is a beautiful piece. Thank you for sharing your art and how to accomplish it ourselves. It is very unique. I haven’t used embossing powders but now I’m intrigued. Seth, what great ideas and new ways to use embossing powder. Just love what you did with them. Absolutely love this, Seth! You always create such sublime texture on your beautiful pieces of art! Feeling so honoured to be part of this amazing blog hop! Hi Seth, there is a 4th way to use embossingpowder. Way cool piece Seth and so very generous for you to have it as a prize! Someone is going to be very lucky! I love Ec's embossing powders- they really know how to mix some gorgeous palettes! 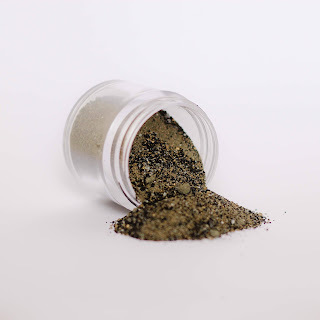 Embossing powders were one of the first mediums I absolutely fell in love with and could not get enough of! still can't! I am going to give this a try today. I've used embossing powders but never with a stencil. Should be fun! Love .... love ..... love it all !!! What a healthy addiction !!! Oh Seth, you are amazing and this piece really speaks to me. I haven't embossed for a while now but will definitely be doing some now. Thank you for the giveaway!!! Oh my goodness, how wonderful your piece is!! I already love those stencils, now to get embossing powder!! Seth, your artwork & creativity is wonderful. I did Ooh & awe while watching the embossing video. Thank you for the opportunity. Cbfigiel@gmail.com THANKS! OMG, this is awesome Seth!! Love the layers and textures!! just love your use of embossing powder! Awesome piece Seth. I need to remember to use embossing powders more. You get such great results. Thanks for showing us just how easy it is. Always enjoy your work - powders are such a great way to get texture and I don't think to use them with stencils very often. Thanks!! 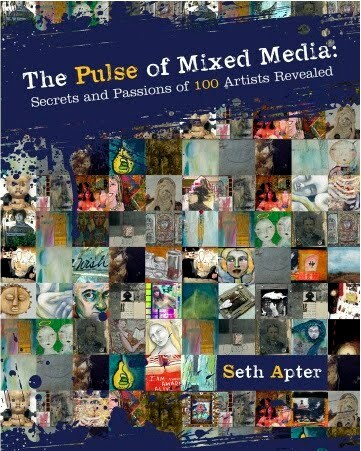 Seth Apter you make the most elegant grunge ever! Love the idea of using gel medium as a vehicle for embossing. Awesome video and love the dripping gel medium. Ordered some needle tip bottles so I can control the marks. Of course, marks with abandon hold more interesting surprises! cool! thanks for the inspiration!! I absolutely love this! (I hope I win HeHe!) I wish you would have done a video on this particular piece. I do appreciate the time it took for the walk through though. Do you have videos on you tube? I'm new to all this layering and am overwhelmed when I read the details as to what I do to achieve the look that all of you make look so easy. I love layers and texture so this is fantastic! Simple technique + great stencil + super cool metallic embossing powders = one amazing canvas!! Thanks for the inspiration! Love the depth in this piece. Really love your Work Seth! The layering is just fabulous on the wood and of course, love, love the stencils! I have not used the embossing powder from Emerald Creek, but I feel an order will soon be placed!! I have not tried, but I absolutely will, embossing powder drips - genius!!! I love the texture you achieve and the subtle mixture of colors you use. You have a style distinctly your own. The overall design, and build up of layers, has wonderful dimension. Thank you for sharing. I also enjoyed watching your embossing segment again on Make it Artsy with Julie. Gorgeous piece ! Those two embossing powders are also my favorite from EC. Thanks for the tip about the drips ! Your work has such depth and texture, love it. Love those EP and your workl is fantastic! These are amazing!!! 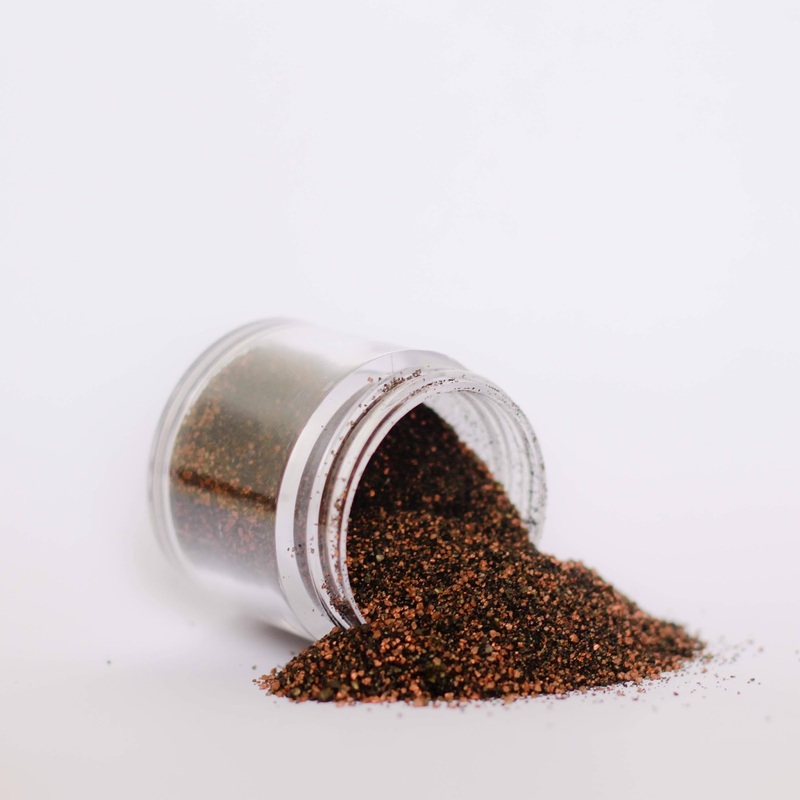 I can't wait to try the new embossing powders! 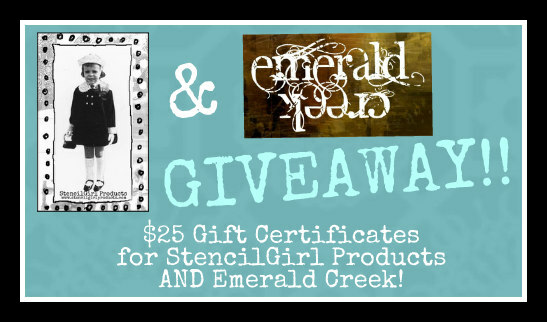 I already have loads of your wonderful stencils and am very excited about your new endeavor with Emerald Creek. I know I will *need* those embossing powders. I love the look of the new patinas!